The way mental illness has been viewed and dealt with over the years has definitely improved. From a time where people who had mental illnesses were thought to be demon possessed and were locked away in insane asylums and put in restraints and basically mistreated and kept away from society, things have come a long way. In the 19th century, moral treatment was not yet prevalent. However, advocates evolved and medics got involved. Unfortunately, the doctors were offered very little therapeutic activity and were more like administrators who seldom attended to patients. In the 20th century significant improvements were made. Asylum “inmates” were increasingly referred to as “patients” and asylums renamed as hospitals. Ref1 Mental hygiene, mental health, clinical psychology, and social work and psychiatry was terminology that was often used. In the middle of the 20th century lobotomies, shock therapy, ECT treatment and use of strong drugs came into play. There was also a movement. What many think as a mistake however, is that psychiatric facilities were replaced by community mental health services. Unfortunately, these were not successful and led to many people with mental illnesses becoming homeless or jailed. Later in the 20th century, many more psychiatric medications were introduced and used on people with mental illnesses. Now, in the 21st century, we have come a long way since people were chained, put in restraints and locked away in insane asylums, we still have a long way to go. It is not viewed as acceptable by society that someone has a mental illness. Many are uneducated about mental illnesses and there is a huge problem with stigma. The stigma and lack of awareness of mental illness has become a huge problem. People who think they or a loved one have a mental illness are afraid to get help. Employees are afraid to tell their employers as they are in fear they could lose their jobs. Friends are in fear of losing friends if they tell them they suffer from a mental illness. Even loved ones are lost because of the problem, fear, lack of education, and stigma attached to mental illness. This needs to change. Just like we have evolved so far from the 1700’s and how mental illness was viewed, many things need to advance the way mental illness needs is viewed. There is a serious issue with the fact that it is ok if someone tells someone else that they have cancer, diabetes, thyroid problems, etc. However, it is not ok to tell them they have bipolar disorder, schizophrenia, anxiety disorder, OCD, PTSD, etc. Mental illnesses are like other illnesses they just affect the brain rather than the liver, stomach, intestines, thyroid, etc . Many advances are changing people’s views. The fear I have is that a lot of the things that are changing people’s views are the negative attention they receive. The media is quick to talk about a tragedy and how the person who did it had a mental illness. However, they don’t want to talk about so many others who are being treated for a mental illness and are a productive part of society, not violent, and have endured so much in their lives. The problem is they can’t share with others all they have endured. 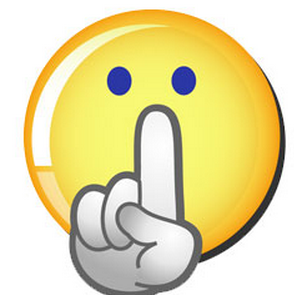 SHHH…Don’t tell anyone that I have a mental illness or that my loved one does. Shhh..I am in the public eye and the last thing I want people to know is that I have panic attacks or an eating disorder, or have bipolar disorder. The idea of Shh…makes stigma worse. When celebrities try to hide they have mental illness when they clearly do, it shows others that it is something to be ashamed of. Why can’t they admit and show others that it is nothing to be ashamed of? It comes from the Shhh..mentality. There are so many people with influence now who are letting others know they have mental illnesses and I commend those people. It took courage and bravery to allow others know such details about their life. They didn’t listen to the Shhh…Don’t tell. We need more people, famous or not to take a stand and let others know it is nothing to be ashamed of, that they need to educate themselves, and realize that not everyone is a violent, crazy person. Yes, stigma still exists. Discrimination towards the mentally ill does too. However, 1 in 4 people will be affected by a mental illness in their life time. So, what is wrong with talking about it?. Make a difference. Start educating yourself if you don’t have a mental illness. If you do, share with others that you do if you can. Join advocacy groups and encourage people with mental illnesses in the public eye to not take the Shh..don’t tell attitude. Thank those who have shared they have a mental illness as they are heroes and are helping the cause.